Home Tags Posts tagged with "Windows 8"
Microsoft officially stopped selling retail copies of both Windows 7 and Windows 8 on October 31. 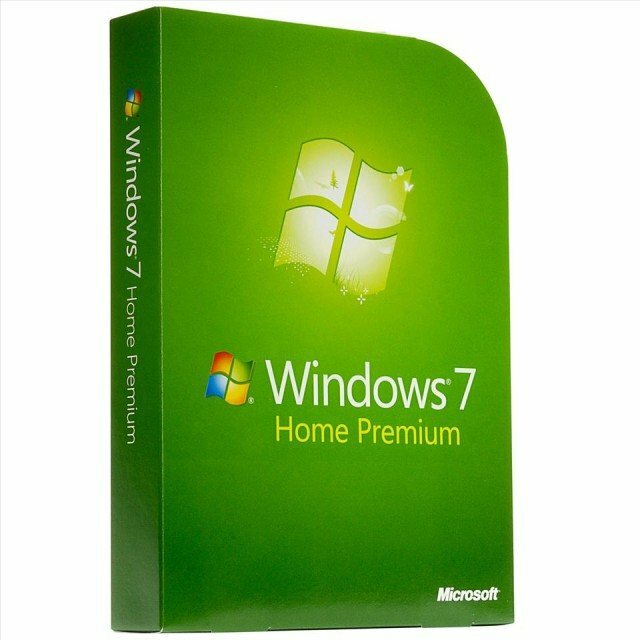 From October 31, consumers could no longer buy copies of the Home Basic, Home Premium and Ultimate versions of Windows 7. Now, Windows 8 is also no longer available. The change affects both copies bought in shops or loaded on PCs and laptops. Those keen to get a computer running Windows 7 will be able to “downgrade” from 8.1 to Windows 7 Professional but relatively few PC firms offer this option. Windows 7 has been available since late 2009 and is still very popular among users. About 53% of Windows users are on the various editions of Version 7 of Windows. The more recently released Windows 8 has only grabbed a 6% market share and has already been surpassed by 8.1. Separately, market analysis reveals that the numbers of people using the venerable Windows XP operating system has suddenly seen a sharp decline. Data from Netmarketshare suggests that in October this year its share dropped from almost 24% to just over 17%. The Start button is returning to Microsoft desktop mode’s taskbar of its Windows 8 operating system, the company has confirmed. Instead it will bring users to the recently-introduced “Metro” interface. “We’ve improved the way you navigate to Start with the mouse by changing the Start ‘tip’ to be the familiar Windows logo,” the company said in a blog post. Added customization options, with more choice over colours and backgrounds on the Start Screen. 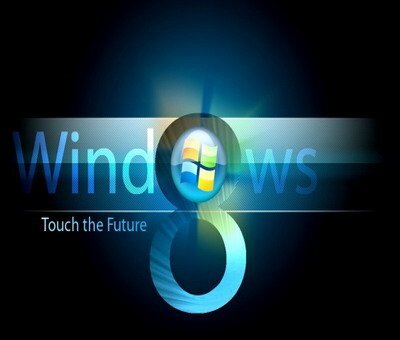 Gabe Newell, Valve Software’s boss, has said that OS Windows 8 will be a “catastrophe” for PC game makers. Speaking at the Casual Connect game conference in Seattle, Gabe Newell said the next version of Windows could mean big changes to the PC market. 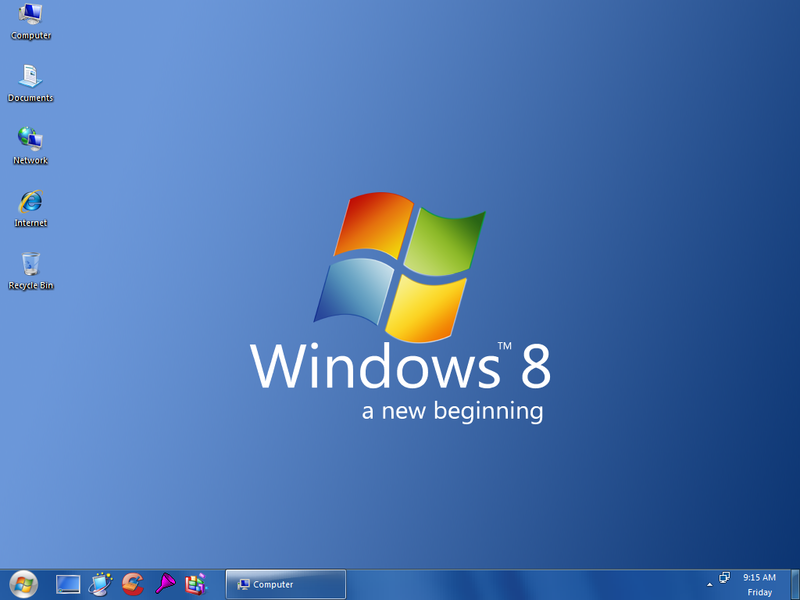 Many took his comment as a criticism of the changed user interface in Windows 8 as well as its built-in Windows Store. The Windows Store could dent the success of Valve’s own online market, Steam, through which players buy games. Gabe Newell, who worked for Microsoft for 13 years on Windows, said his company had embraced the open-source software Linux as a “hedging strategy” designed to offset some of the damage Windows 8 was likely to do. “We want to make it as easy as possible for the 2,500 games on Steam to run on Linux as well,” said Gabe Newell. The arrival of Windows 8 would be likely to drive some PC makers and others out of the business because it put so much pressure on their sales margins, Gabe Newell added. He said the success of Valve, known for its Half Life, Left4Dead and Portal titles, had been down to the open nature of the PC. “We’ve been a free rider, and we’ve been able to benefit from everything that went into PCs and the internet,” he told the conference. However, he added, the openness that helped Valve as well as firms such as Google and Zynga could disappear with Windows 8. This is seen by commentators to be a reference to the inclusion of a Windows Store in the Microsoft operating system. This is a shop through which users will be able to buy apps for their Windows 8 device. On some versions of Windows 8, it will be the only way to get downloadable software such as games. Microsoft takes a cut, up to 30%, of every sale made through this store. This could be a significant threat to the massively successful Steam online game store that Valve runs and which gives it a commission on every title sold through the online market. A Windows Store closed to everyone but Microsoft might reduce the range of games available for sale through Steam. Windows 8’s links with Microsoft’s Xbox Live online game service could also dent the appeal of Steam for many people. Gabe Newell said Valve was preparing for the future in other ways. In particular, he said, it was trying to make tools and services that players could use to make games and gaming more fun for everyone. “We think the future is very different [from] successes we’ve had in the past,” he said. One harbinger of this future was perhaps found, he said, in the success of one Team Fortress player in Kansas who was earning $150,000 a year making virtual hats. “This isn’t about video games,” he said. 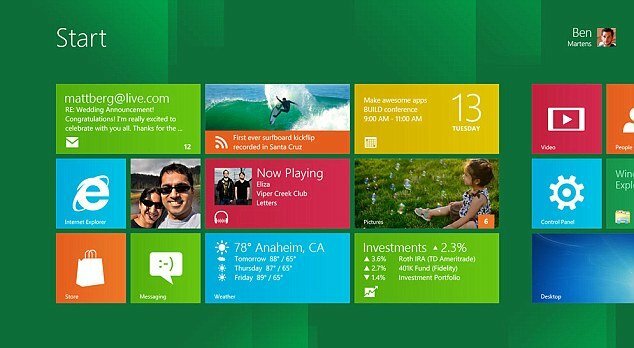 Windows 8 will be released on October 26, Microsoft has revealed. The declaration was made at the firm’s annual sales meeting and was published on its blog shortly after. The firm has described the update as the most important redesign of its interface in more than a decade. The announcement was made a day before the firm releases its fourth quarter earnings report. Analysts say it may post its first ever loss after writing down the value of a troubled takeover. Microsoft paid $6.3 billion for the online advertising service Aquantive in 2007 but has said the service did not perform as expected. As a result its earnings will be offset by a $6.2 billion charge. Microsoft’s future efforts are now focused on its upcoming system software release. 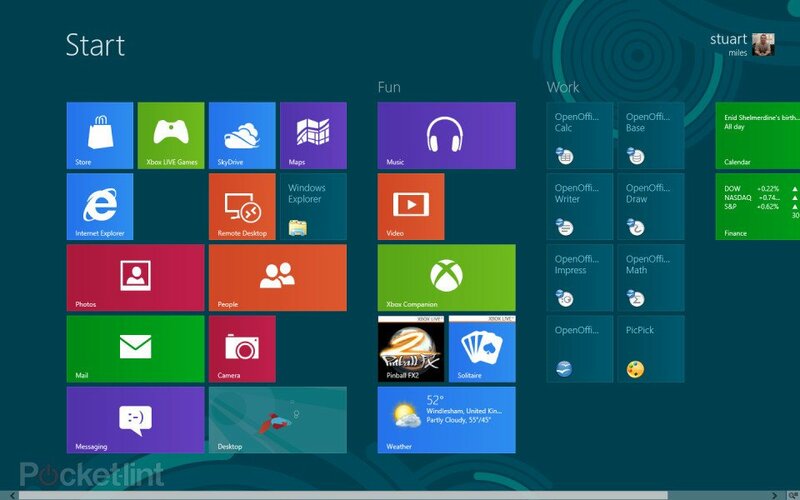 Windows 8 includes a touch-controlled interface dubbed Metro as well as a more traditional desktop. It will be released in a version that runs on ARM-based chips for the first time, as well as versions for x86-based ones designed by Intel and AMD. Some consumers will have delayed buying new computers ahead of the release, depressing Microsoft’s sales in the meantime. However, many companies have continued with their roll-out of Windows 7 as it typically takes big firms’ IT departments months or years after a major system update to approve its installation on workers’ computers. 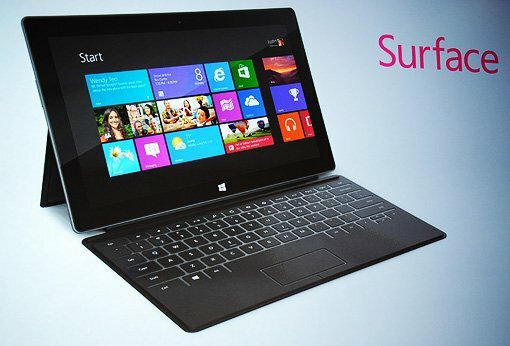 Part of Microsoft’s goal in the initial months will be to eat into sales of rivals’ tablet computers. Apple’s iPad and Amazon’s Kindle Fire have dominated the sector while Google’s new Nexus 7 has also attracted positive reviews. Microsoft hopes to make the most of the fact that it can offer a single system that can power both desktop PCs and mobile devices – allowing progams to work on both – as opposed to Apple’s decision to offer different Mac OS X and iPad iOS systems. Microsoft has also taken the out-of-character step of announcing its own hardware – the Surface family of tablets – to compete with other companies’ products on the Windows 8 platform to maximize its chances. But since announcing the news chief executive Steve Ballmer has sought to reassure his company’s hardware partners, describing Surface as “a design point” that would have a place within a “broad Windows ecosystem”. Whatever the case, investors appear hopeful despite the problems with Aquantive. “Microsoft’s stock is up 17% since the start of the year in part because of anticipation for Windows 8 and Surface,” said Colin Gillis, senior technology analyst at BGC Partners. Microsoft has unveiled Surface, its own-brand family of tablets, which will be powered by its upcoming Windows 8 system and contains a choice of an Intel or ARM-based processor. It allows Microsoft to challenge Apple’s bestselling iPad with a device that can run standard applications such as its own Office programs and Photoshop. The company’s chief executive, Steve Ballmer, said he had wanted to give the software “its own companion hardware”. The devices have 10.6 inch (26.9 cm) displays, built-in kickstands and are housed in magnesium cases – which the company described as the first of their kind. The ARM-based tablets are 9.3 mm (0.4 inches) thick – slightly less than the iPad – and run the Windows RT version of the new system. The Verge reported that the chipset will be built by Nvidia. 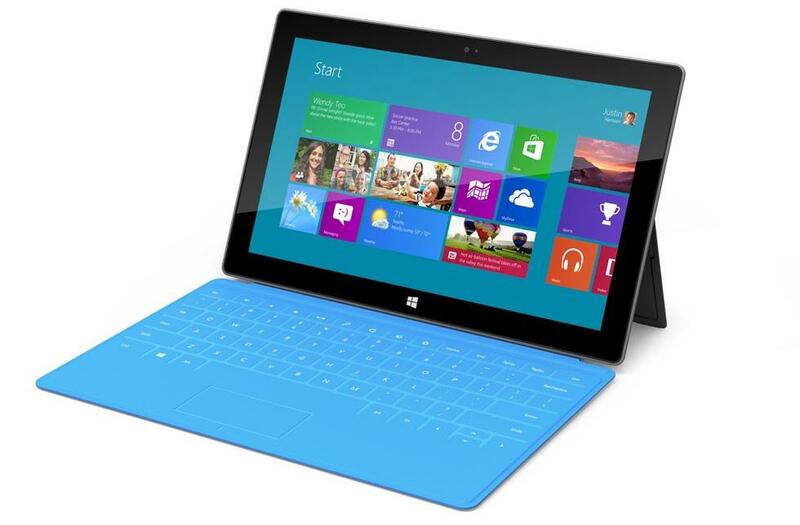 The versions using Intel’s x86 technology run Windows 8 Pro and are 13.5 mm (0.5 inches) thick. The devices are also designed to work with a pen accessory using what the firm dubbed “digital ink”. When the stylus is held close to the screen of the tablet it ignores touch-input from the users’ hands and “samples” the ink at 600 dpi (dots per inch). The ARM-based version will be available with either 32 GB (gigabytes) or 64 GB of storage. Microsoft said they would be priced at a similar rate to other tablets using the same type of processor built by other firms. It added that the Intel-based versions would be offered with either 64 GB or 128 GB of storage and would have price tags comparable to ultrabook laptops. The firm’s designs have already proved popular with smartphone makers, but Microsoft’s support for its technology in Windows 8 offers it the potential to expand into a market dominated until now by Intel and AMD. “This represents a significant milestone in Microsoft’s journey to expand the support of the Windows operating system and embrace the ARM architecture,” said Lance Howarth, the firm’s vice president of marketing. Microsoft launches the most complete preview yet of its upcoming Windows 8 operating system. Microsoft said that tens of thousands of improvements have been made to what it calls the most important redesign of its interface since Windows 95. The latest version of Microsoft’s browser Internet Explorer 10, optimized for touchscreen, is also included for the first time. Users are promised greater personalisation of the start screen, and more control over privacy. Internet Explorer 10 will be the first browser with “do not track” turned on by default, meaning users can easily decide not to accept cookies. Microsoft said manufacturers and developers are at work on new devices and apps designed to make the most of Windows 8’s features.